Last year, China and Russia had a joint naval exercise in the Baltic Sea. Now, possible practical forms of cooperation are discussed with the Northern Fleet. China has the world’s third largest navy, while Russia is the second largest after the United States. Since 2012, China and Russia have teamed up with several naval exercises. While the Chinese navy earlier has focused its area of influence near its own backyard, Beijing sailed warships to exercise with Russia in the Mediterranean and Black Sea in 2015 and in the Baltic Sea in 2017. A possible future Barents Sea and Arctic exercise is not explicit mentioned in the press release following Monday’s top meeting in Severomorsk, the main base for Russia’s Northern Fleet. “The parties discussed a set of issues related to the response to existing threats in the World Oceans, possible practical forms of cooperation in the interest of strengthening maritime security,” the Northern Fleet’s press release after the meeting reads. The meeting is called a “working visit”. China is currently developing its navy to be capable of worldwide operations. Among other warships, four aircraft carriers are scheduled to be completed by 2025. Today, the only aircraft carrier in operation is the “Liaoning”, a vessel originally laid down in 1985 for the Soviet navy. With the breakup of the Soviet Union, though, construction was halted and Ukraine announced it for sale. In 1998, the Chinese navy bought it and completed it in 2012 as a training vessel. The Northern Fleet has Russia’s only aircraft carrier, the “Admiral Kuznetsov” which is of the same class as “Liaoning”. “Admiral Kuznetsov” is currently moored for extensive long-term repair at naval yard No. 35 Sevmorput in Murmansk. The work will last at least until 2022. Meanwhile, Russia’s naval fighter jet pilots have now real aircraft carrier at sea to practice takeoffs and landings. 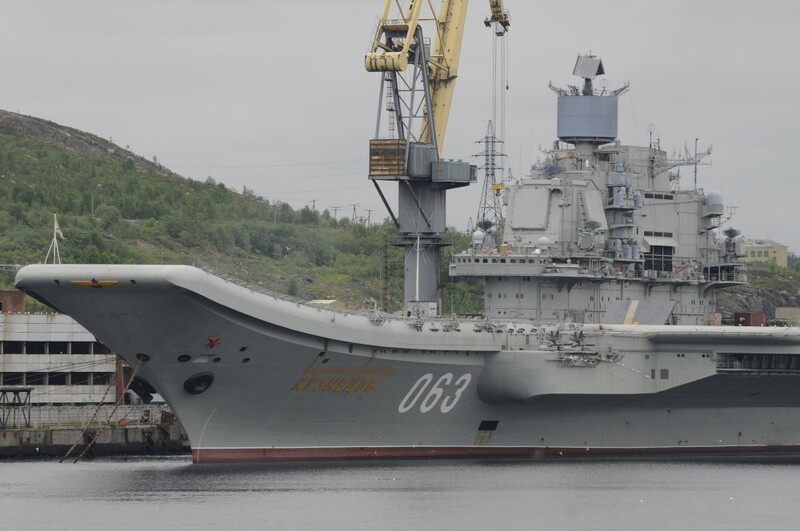 Whether joint training on China’s aircraft carrier was on the table for discussion in Severomorsk during the visit by Vice-Admiral Shen Jinlong is not known. The commander of the People’s Liberation Army Navy was after the meeting invited on board the Northern Fleet’s nuclear-powered multi-purpose Oscar-II class submarine “Voronezh”.